For the bride, she grew up in the East Coast, New York to be exact and the groom on the West Coast in Washington State. Their paths finally crossed when the bride trekked out west for college at the University of Puget Sound. It was on the West Coast where their love story started and where they got engaged. Then their story took them to the East Coast last fall for the groom to get his M.B.A. in Boston. 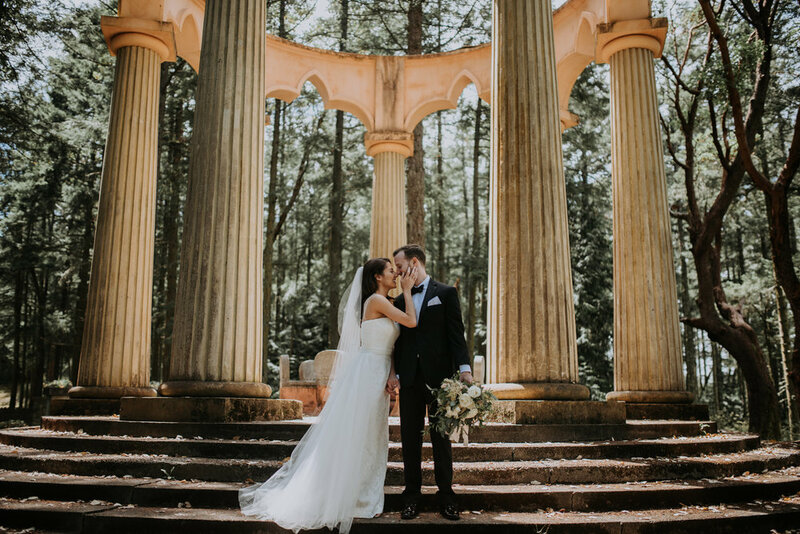 But it was their love of the West Coast, specifically Roche Harbor (located on San Juan Island in Washington State) where these two wanted to say their I Dos. The bride who also is a wedding planner turned her focus to being the bride and start the adventure of her own planning her perfect wedding. 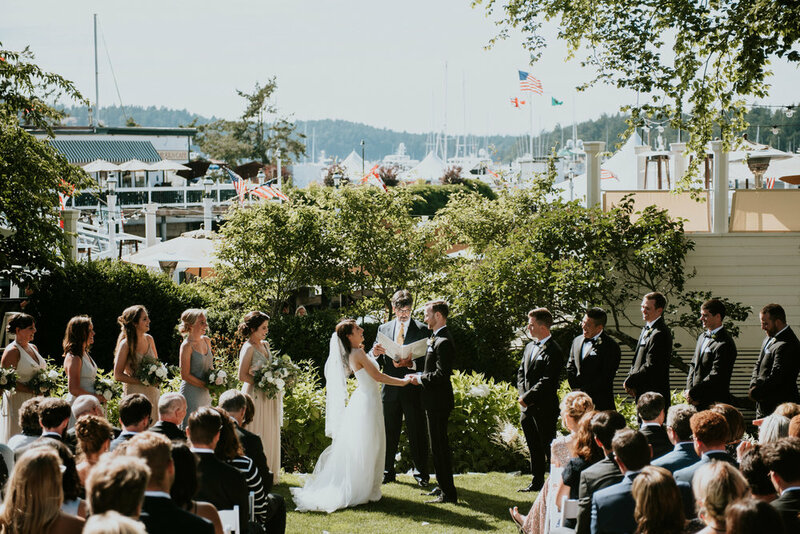 One of the best perks of selecting the Roche Harbor Resort was they went through a major remodel shortly before their wedding and it was a beautiful transformation complete with new floors, added floor space and our favorite, vineyard chairs. Our classic bride Jen wanted to keep her wedding simple yet romantic. 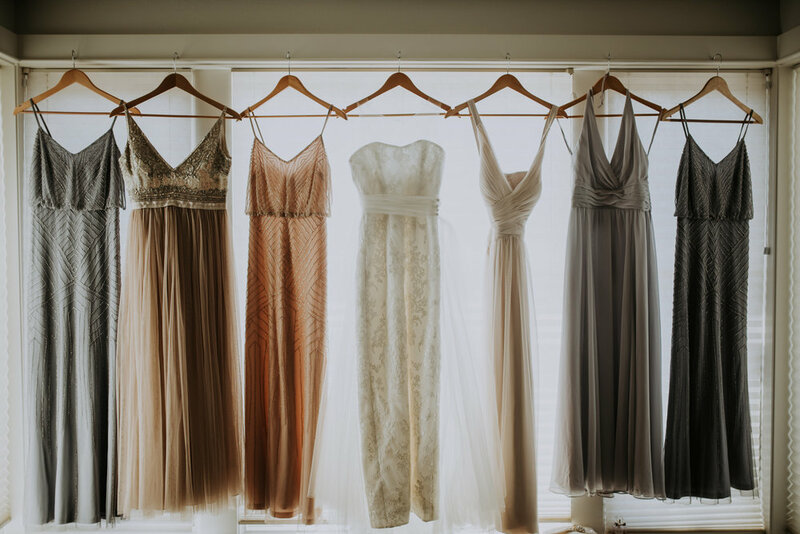 With the beautiful surrounding of the harbor and the venue itself, the couple opted for a muted color palette perfect for their East Coast Meets West Coast Themed Wedding. When it came down to the details, the planner turned bride really thought of everything down to the beautiful His & Her Vow Books. For the table décor, the couple opted for long rows of rectangle tables lined with greenery highlighted with a beautiful centerpiece by Bloom San Juan accented with gold candlesticks and glass and mercury votives. For their place cards, the couple wanted to be creative and that was oyster shells (they even had their rehearsal dinner at an oyster farm). One of favorite parts of the wedding was when the couple saw each other for the first time at the John S. McMillin Memorial Mausoleum then followed up by reading their vows to one another. We couldn’t have thought of a more intimate moment. Another highlight was when the couple were introduced as husband and wife during the Harbor’s Colors Ceremony. After dancing the night away, the couple were whisked away the next morning on a seaplane where they honeymooned on Maui before returning home to the East Coast.